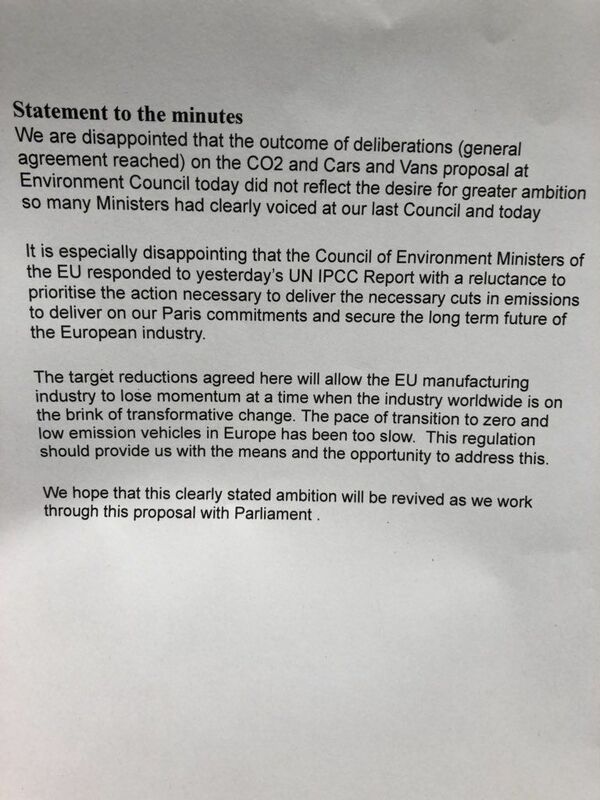 EU environment ministers took until nearly midnight on Tuesday (9 October) to agree on a common position for car and van CO2 emission cuts for 2030 but several member states were left “disappointed” with the final agreement. In an attempt to tune-up the European Commission’s initial 30% emission cuts proposal, Austria’s EU Presidency tabled a 35% offering, which ultimately ended up being split into separate 35% and 30% targets for cars and vans, respectively. Twenty member states voted in favour of the final text, four against and four abstained. But the final deal created a ‘coalition of the disappointed’, as a group of member states pushing for higher targets expressed their disgust with the final agreement. Denmark, Ireland, Luxembourg, the Netherlands, Slovenia and Sweden told the chairing Austrian Presidency in no uncertain terms that the so-called general approach had actually become weaker and less ambitious as the day’s talks had progressed. Those countries said they would circulate a declaration stating their “disappointment” with the agreement. 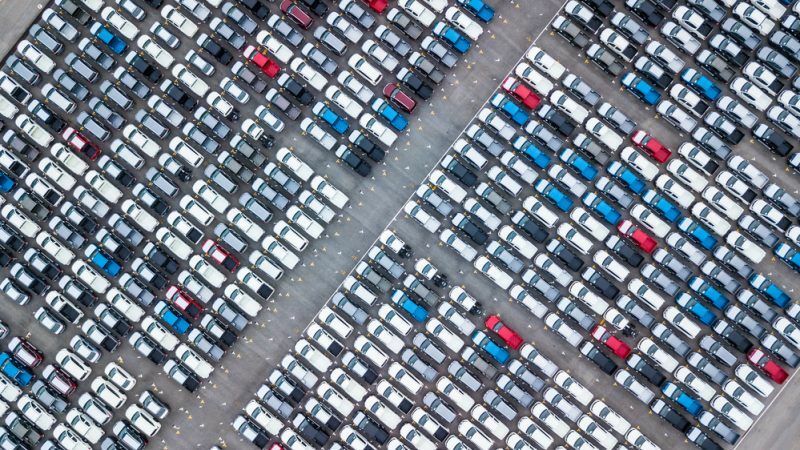 European Union environment ministers will seek a compromise on Tuesday (9 October) over how tough to be on curbing carbon dioxide emissions from cars and vans, with Germany warning too tough targets could harm industry and cost jobs. Member states started the day split into two distinct camps: those willing only to back the Commission’s initial 30% proposal, including Germany, and those calling for higher overall targets. Austria had hoped to secure more than qualified majority support and get a good consensus from the meeting, in order to strengthen the Council’s bargaining position in three-way talks that will begin immediately on Wednesday (10 October). Spain, Europe’s second largest carmaker, looked to have landed itself a role as dealmaker during the first round of talks, when it became clear that new environment minister Teresa Ribera would be willing to consider a bumped up target of between 35% and 40%. 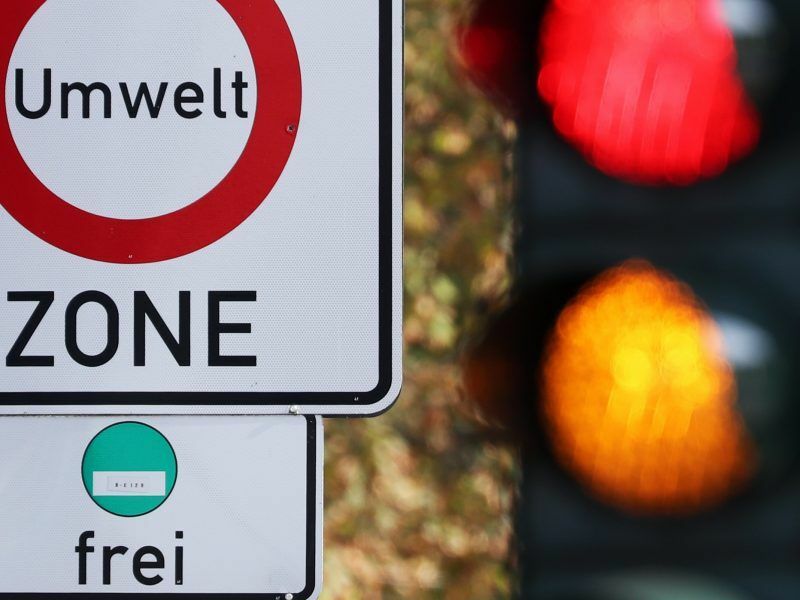 Carmaker giants France and Germany initially fought two different corners in the early stages of the meeting but the Bundesrepublik was ultimately able to convince its influential neighbour to change lanes and back Austria’s re-tooled compromise. Central and Eastern European countries threw their weight around throughout the meeting, pushing for exemptions for small-scale carmakers and tweaks to sales targets. Countries where zero and low-emission vehicles (ZLEVs) are less widespread will get an extra bonus for their sales target, which the Council bumped up to 35% for 2030. A mid-afternoon proposal by Romania that was more heavily linked to GDP was thrown out immediately by ministers, many of whom called it “discriminatory”. Greece’s representative took particular issue with the choice of 2013 as the calculating year. 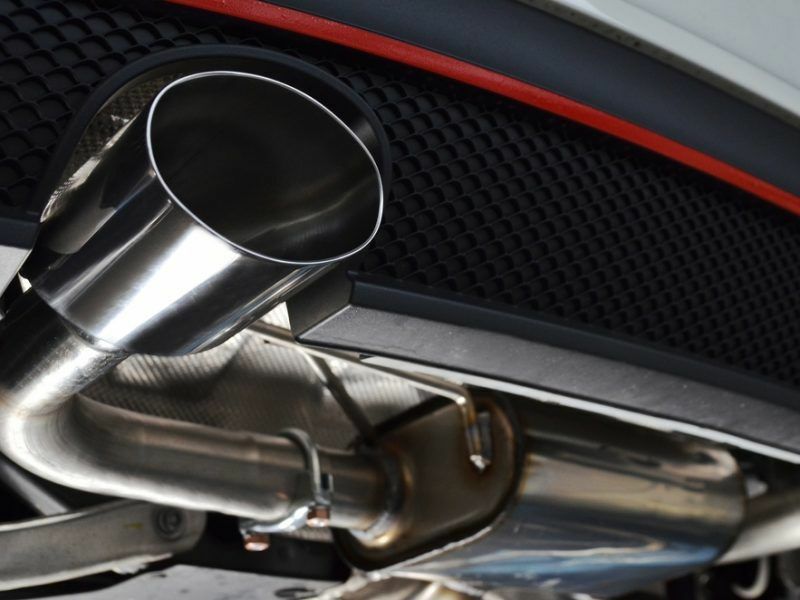 The inclusion of so-called “niche-derogations” for smaller manufacturers mean any companies making 300,000 cars or less are exempted from the rules. This notably includes British multinational Jaguar Land Rover. Austria’s sustainability minister Elisabeth Köstinger said in a late-night press conference that her presidency team had managed to get big member states like Germany on board and that the final position gave the Council a “strong, solid mandate”. 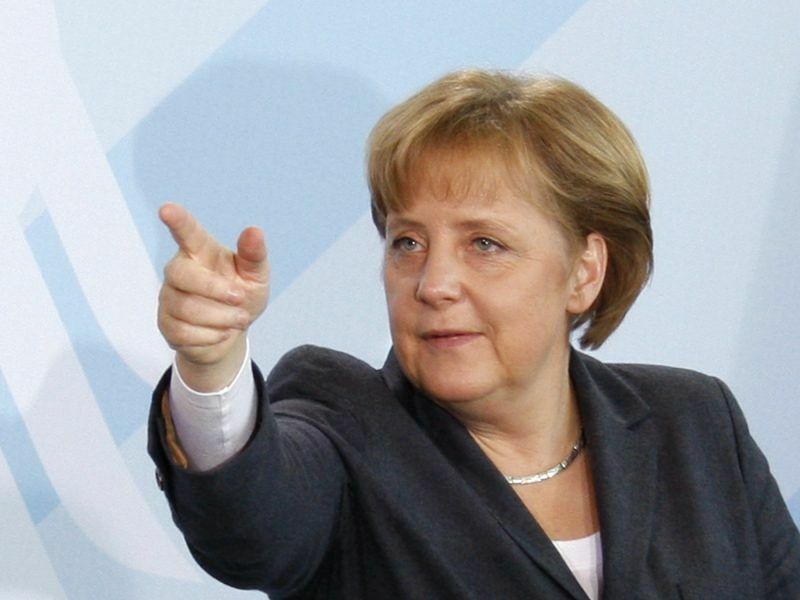 Germany’s environment ministry revealed on Wednesday (26 September) that the Bundesrepublik will back an EU-wide 30% CO2 cut for cars and vans – lower than expected by green NGOs – ahead of an important vote in the European Parliament next week. During opening statements and throughout the day’s talks, the Intergovernmental Panel on Climate Change’s (IPCC) landmark report was an ever-present force in the Council room, as countries advocating higher targets urged their colleagues to heed its stark warnings. But a declaration supported by six member states after the final agreement said “it is especially disappointing that the Council responded to [the report] with a reluctance to prioritise the necessary action necessary to deliver the necessary emission cuts to deliver on our Paris Agreement commitments”. Former MEP and current State-Secretary for Luxembourg Claude Turmes said he was “dumbfounded” by the events of the day, while Ireland insisted that a target over 35% was needed for the Emerald Isle to meet its Effort Sharing Regulation obligations. 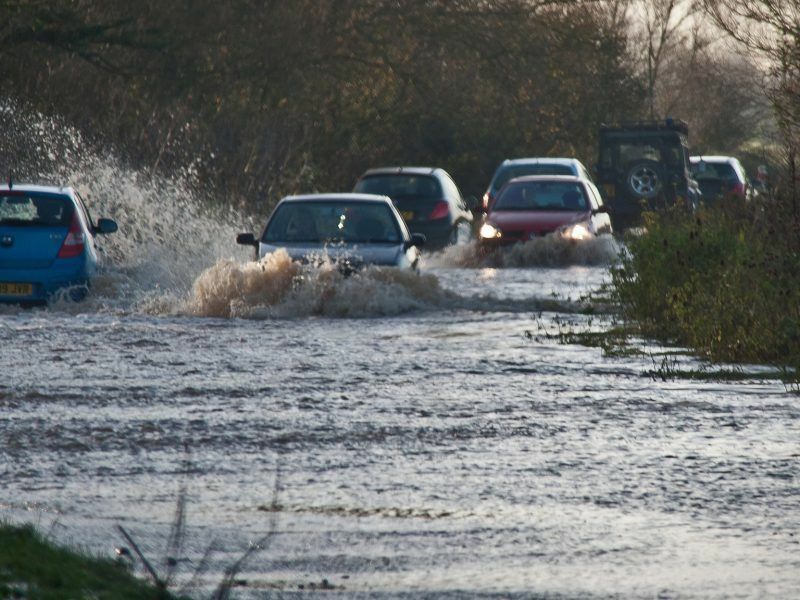 Warming beyond 1.5C will unleash a frightening set of consequences and only a global transformation, beginning now, will avoid it, according to the latest report from scientists at the Intergovernmental Panel on Climate Change (IPCC). EURACTIV’s media partner Climate Home News reports. Council, Commission and Parliament reps will go behind closed doors tomorrow to negotiate the final set of rules as the race to close the file before the European elections in 2019 heats up. Negotiations will be tough because the Parliament already signed off on 40% cuts during the Strasbourg plenary session in September. But that 40% deal actually marked a reduction in ambition for many of the EU assembly’s more progressive lawmakers, some of whom were hoping to secure 50% cuts or more. 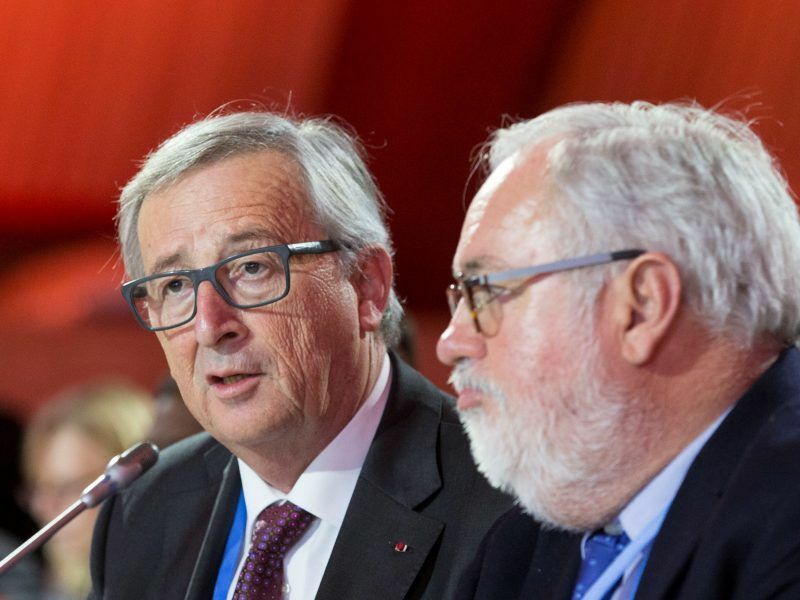 The Commission might also prove to be a bump in the road, as EURACTIV understands that EU climate boss Miguel Arias Cañete lobbied fiercely during the closed sessions to gain support for the original proposal. At the end of the talks, Cañete told reporters that the Commission was “satisfied” that a common position was finalised before the self-imposed deadline elapsed. MEPs voted in Strasbourg on Wednesday (3 October) in favour of a 40% CO2 reduction target for light vehicles by 2030. The target is higher than what the Commission has proposed and tough talks with national capitals now loom large on the horizon. It is not the first time that the EU executive has flexed its muscles since revealing its proposal nearly a year ago, after it commissioned a so-called non-paper just one week before the Parliament’s September vote. That non-paper, a supplementary document meant to influence diplomatic efforts, looked into a few more scenarios than the original 169-page proposal but was not appreciated by the MEP leading the Parliament’s revision of the car rules. Socialist MEP Miriam Dalli said some of the figures included in the new assessment were “misleading” and an attempt “to shoot down any ambition”. The Commission will hope to make decent progress in the talks over the next two months, as well as working on its long-term climate strategy for 2050, which is meant to be revealed on 28 November. The European Commission’s long-term climate plan could be hamstrung by a semantic dispute over vague figures and a fear of failure left over from previous ill-fated attempts at ambitious climate action, EURACTIV has learned.